The SIMATIC Safety Matrix which can be used in addition to the CFC is an innovative safety lifecycle tool that can be used not only for user-friendly configuration of safety applications, but also for their operation and service. The realization phase is characterized by selection of the technology and architecture, definition of the proof test interval, the design and installation of the SIS (Safety Instrumented System), as well as commissioning.The SIMATIC Safety Matrix not only means that programmingof the safety logic is significantly simpler and more convenient, but also much faster than in the conventional manner. 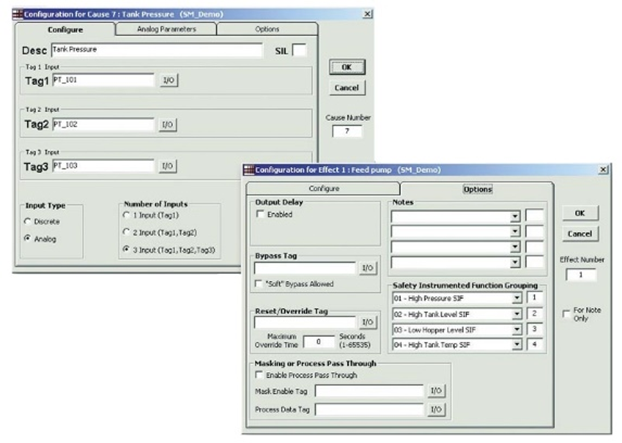 During the risk analysis of a plant, the configuration engineer can assign exactly defined reactions (effects) to events (causes) which may occur during a process. 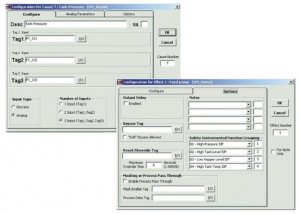 The possible events (inputs) are initially entered in the horizontal lines of a matrix table comparable to a spreadsheet program, and then their type and quantity, logic operations, any delays and interlocks as well as any tolerable faults are configured. The reactions (outputs) to a particular event are then defined in the vertical columns. The viewer of the SIMATIC Safety Matrix which can be used on the SIMATIC PCS 7 operator station permits simple and intuitive operation and monitoring of the safety application during runtime. 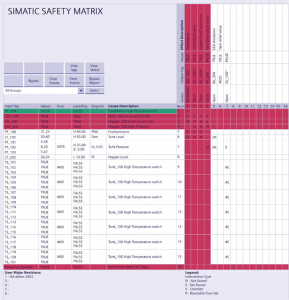 The signal status is displayed online in the Cause & Effect matrix.Safety Lifecycle management functions for version management and for documentation of operator interventions and program modifications effectively supplement the configuration, operation and maintenance functions of the SIMATIC Safety Matrix and also the safety lifecycle management.